A detective, posing as a hotel manager, arrested an Arizona man who had mailed himself a package of crystal meth wrapped in dirty socks and paper. Robert Bare, 24, of Bullhead City, Arizona was in Key West “to party” on Wednesday and wanted to try the drug for the first time, according to police spokeswoman Alyson Crean. He mailed the package directly to the hotel ahead of his stay but only listed a return address in Arizona. 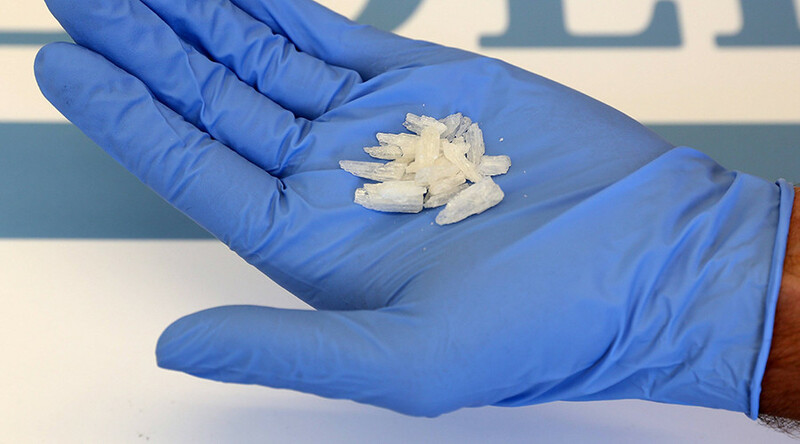 Hotel staff opened the package to discover a pair of socks containing the methamphetamine and immediately alerted police. The police then planned the sting operation which ultimately led to Bare’s arrest when he later arrived at the hotel on February 8. A local detective checked hotel records and posed as a hotel manager to greet Bare upon arrival. Bare was arrested in the hotel lobby after a brief struggle, FLKeys News reported, on suspicion of possession of a controlled substance and resisting arrest without violence according to the Monroe Sheriff’s Department. He was released on a $19,000 bond early Friday.